Hair Rebonding: Textured hair looks great and we all might wonder about how beautiful they are. But we are unaware of the kind of efforts and time and dedication which goes in maintaining that textured hair pattern. You have to spend a great deal of time every time while getting ready and it takes a minimum of half an hour every day. So, what is the time-saving solution? 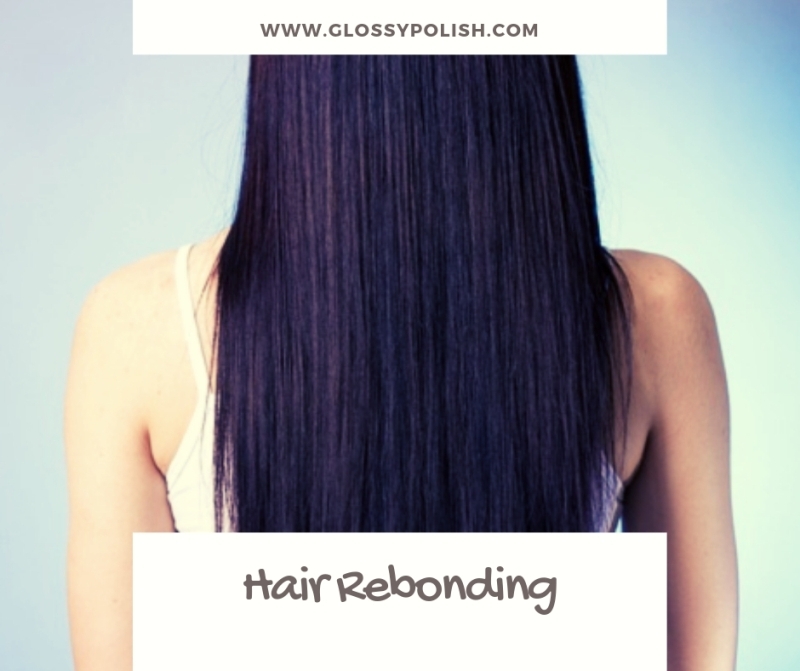 The time-saving solution is hair rebonding. Yes, hair rebonding is perfect when it comes to your textured hair woes. Keep reading ahead to know more about hair rebonding. We all know our hair is made of amino acids. These proteins are actually connected by bonds and that’s what forms the structure of our hair. This is what gives our hair a shape, be it wavy, curly or even straight. Hair rebonding is actually a step which involves a chemical process which alters the shape and structure of your hair. This makes your hair straight and then this will alter the structure of your hair. Begin by washing your hair with a mild shampoo or any regular shampoo. You don’t need to use conditioner on your hair. Let it air dry. You can also go for a blow dry as well. The stylist will now divide your hair into different sections. This will depend on your hair volume and the hair length. Apply a relaxant on your hair and make sure that your each and every hair is coated with the relaxant. Let it sit on your hair for 35-40 minutes. Then your hair will be steamed for 10-20 minutes depending on your hair type. Finally, the hair will be washed off and then air dried. A keratin lotion is applied and then the hair is flat ironed at 180 degree Celsius. Finally, a neutralizer is applied on the hair and left for 30 minutes. Post 30 minutes, hair is washed off with cold water. Hair is finally blow dried, serum is applied and then finally one more time the hair is straightened. Loss of hair is quite common to post hair rebonding because of the presence of chemicals present in them. Hair rebonding aftercare is a quite expensive process and thus get ready to invest in high maintenance salon visits. If proper maintenance and care are not done, then the results are frizzy and unkempt hair. Hair rebonding is again high maintenance and proper care need to be accompanied with the same. Make sure you listen to your hair stylist instructions. Try to use the recommended products only for your hair. Also, eat a healthy and nutritious diet. Make sure to increase your water intake as well as this will help you in the long run in your hair.